Everyone has a load of photos on their smartphone but now you can can display them in your home with a sweet sweet canvas print. 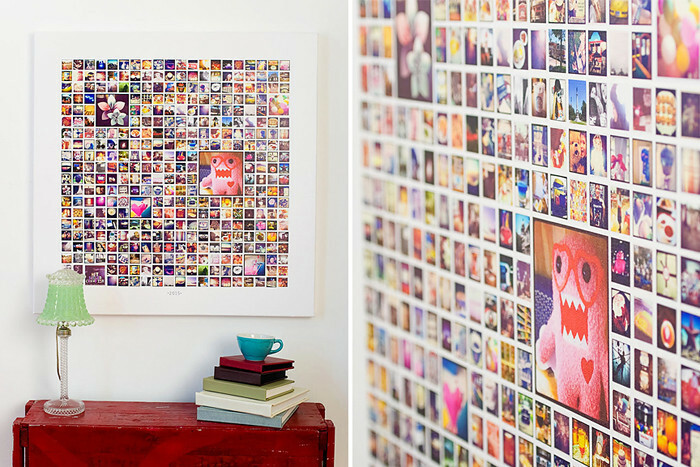 Send us your 365 instagram pics to create this stunning wall piece. All canvas prints are printed using the Epson Stylus Pro 11880 Printer with Epson Ultra Chrome K3 Ink. All prints are coated with a protective laminate which protects it from fading and repels dust and water. Please contact us for pricing and delivery options.